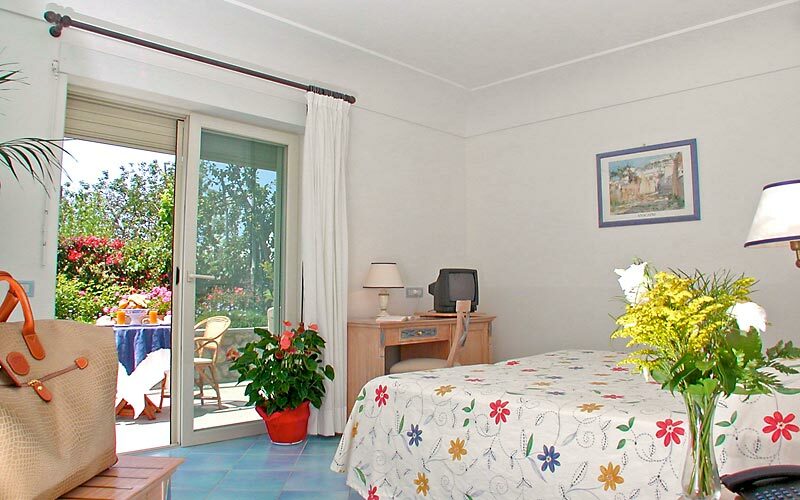 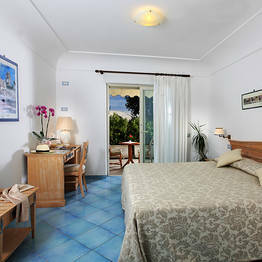 Bright and comfortable room with a private garden view terrace. 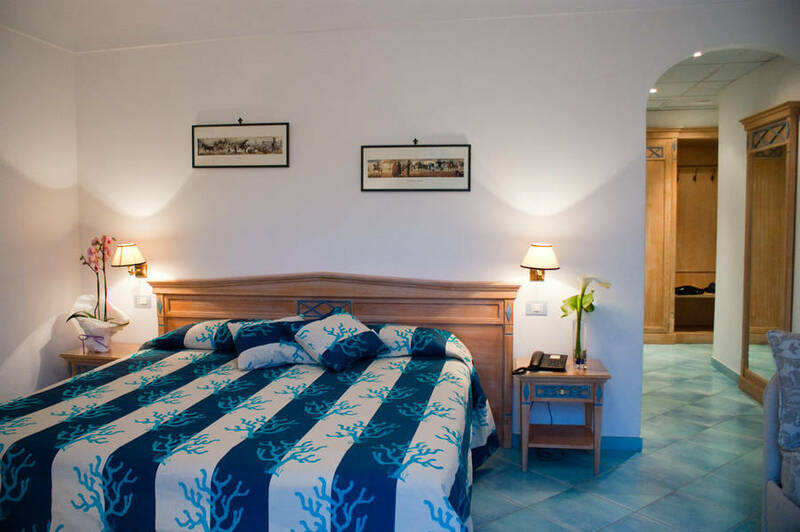 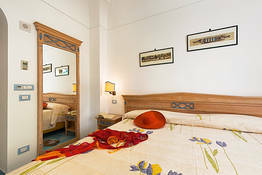 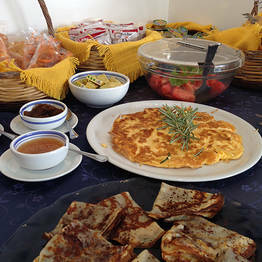 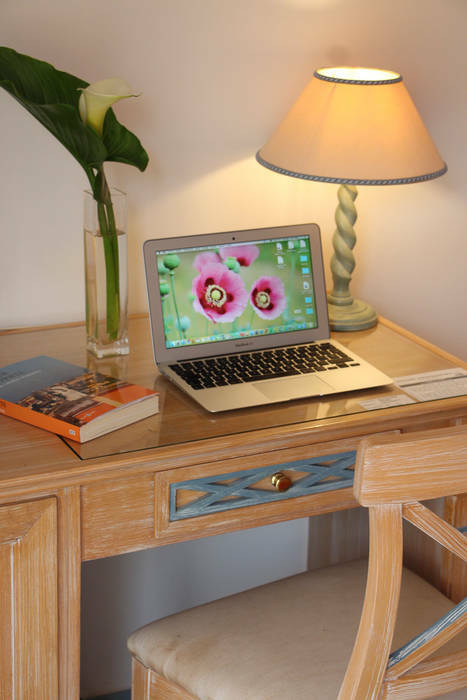 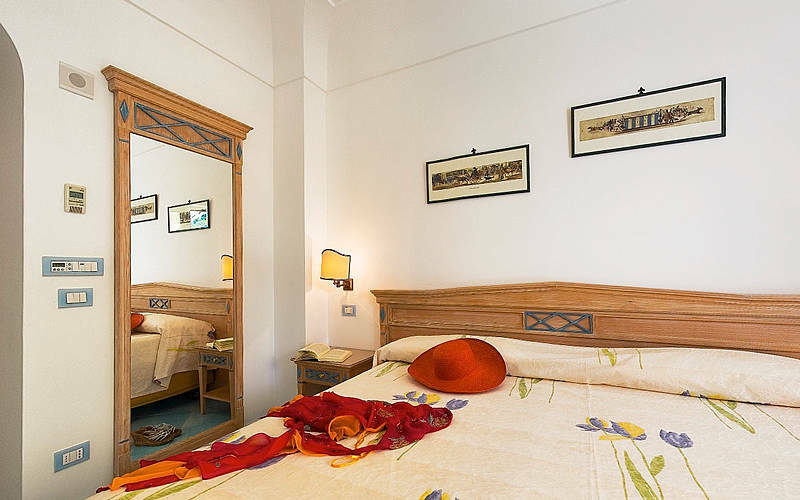 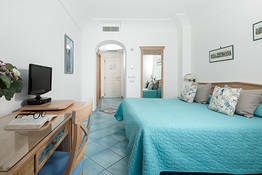 Equipped with free wi-fi, air conditioning, satellite TV, mini bar, safe, hairdryer, telephone. 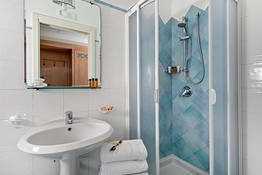 Private bathroom with shower and courtesy kit. 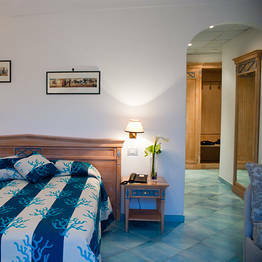 Accommodation: king size bed or two single beds. 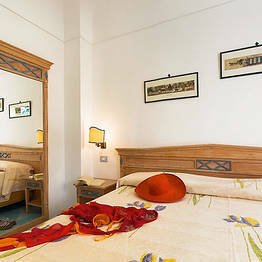 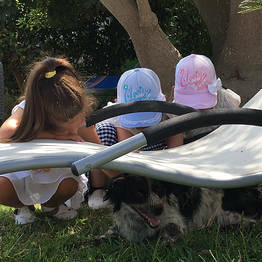 It is comfortably possible to add a third bed option. Bright and comfortable room with private garden view terrace. 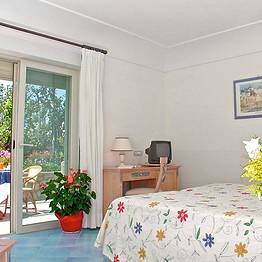 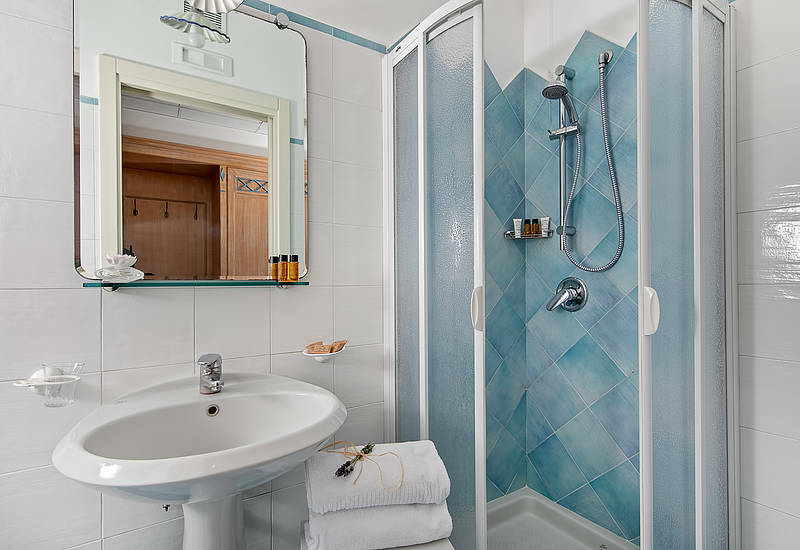 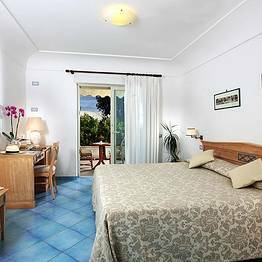 Room with private terrace with garden, bathroom with shower, hairdryer, air conditioning, free wi-fi internet, direct dial telephone, radio-alarm clock, mini bar, satellite TV, safety deposit box, and international power socket. 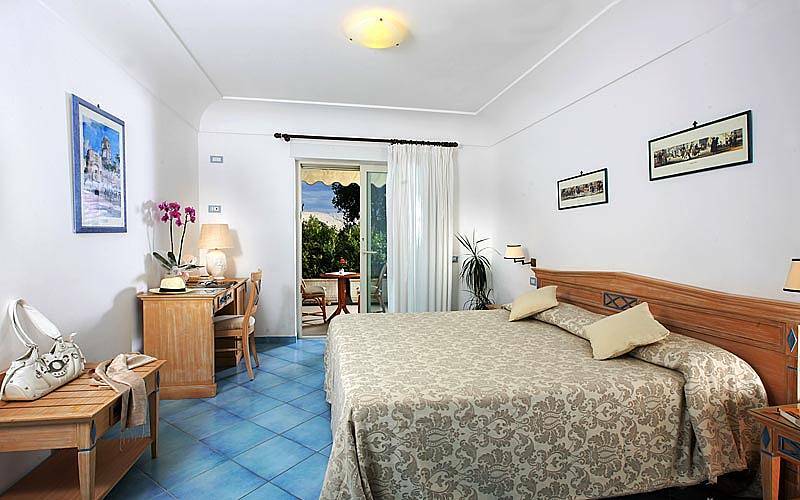 Accommodation​ with king size double bed and 2 single beds or 4 single beds. 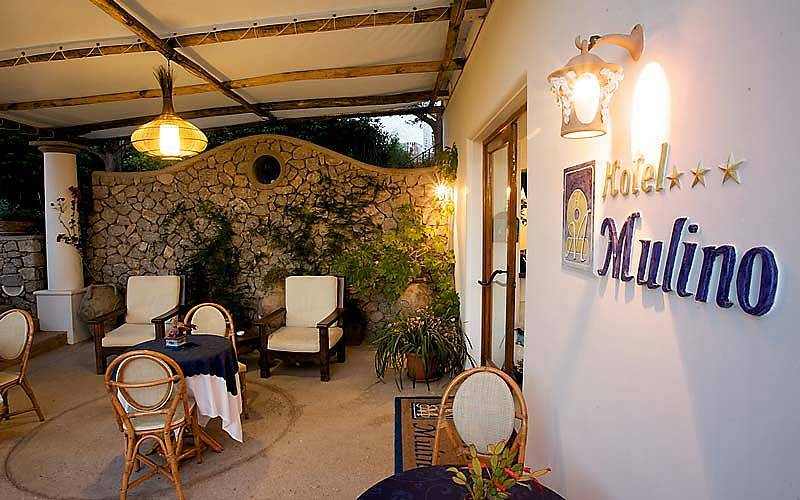 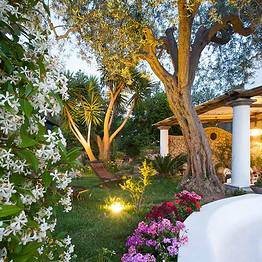 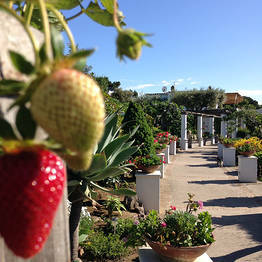 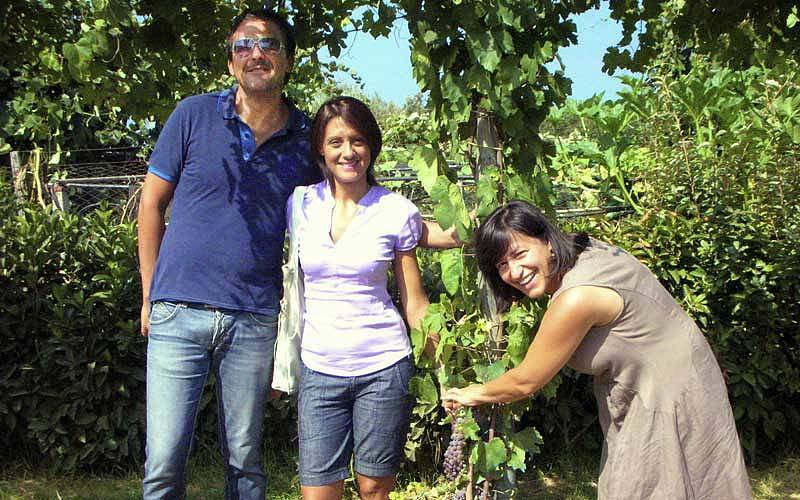 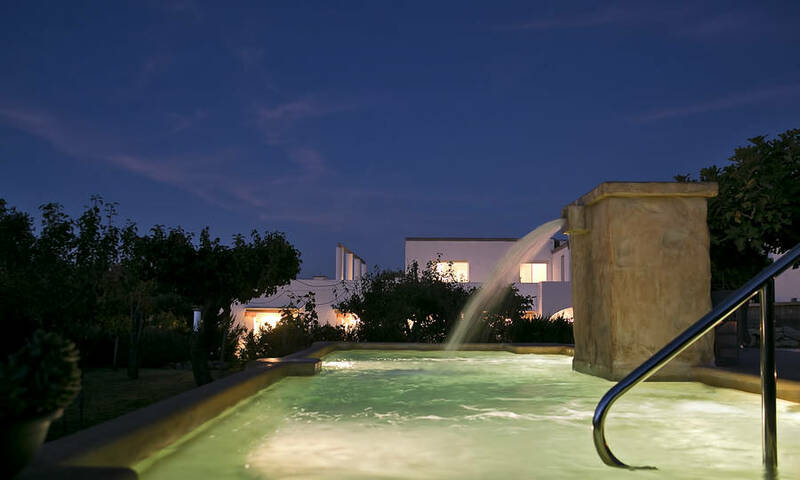 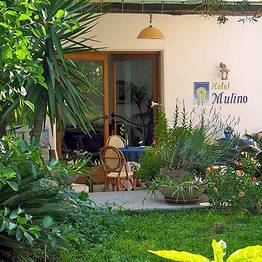 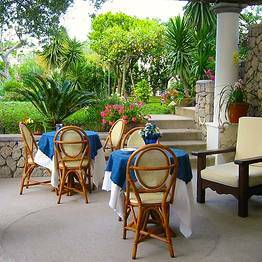 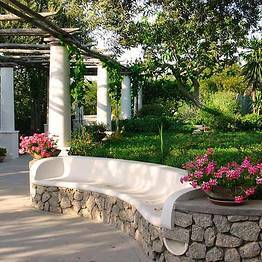 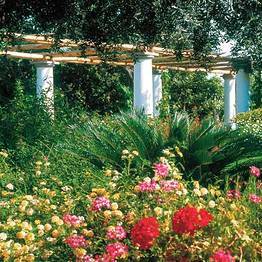 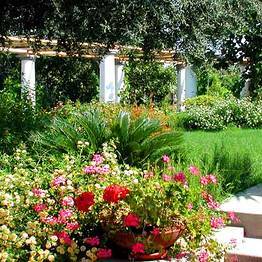 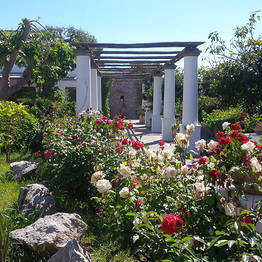 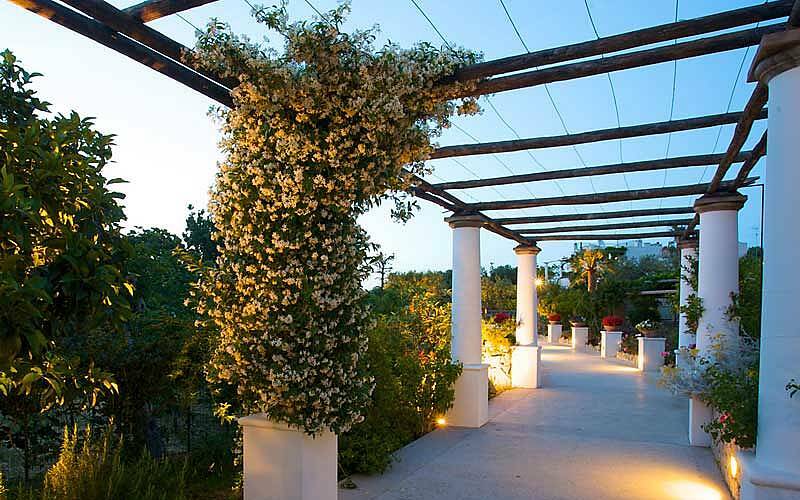 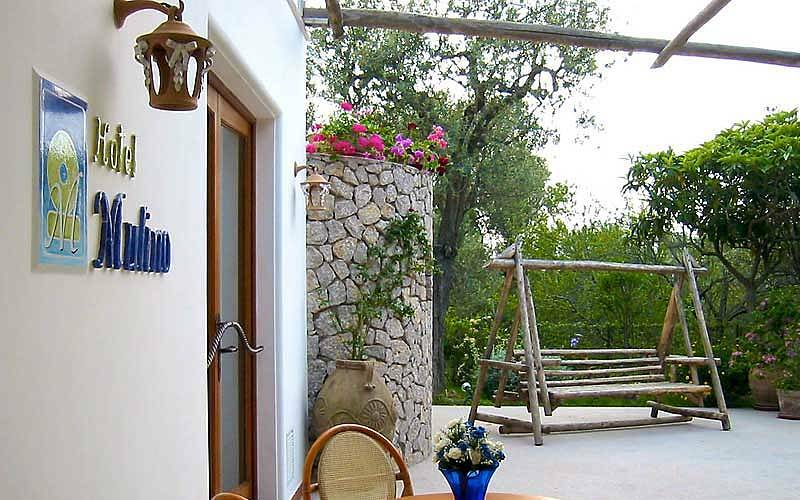 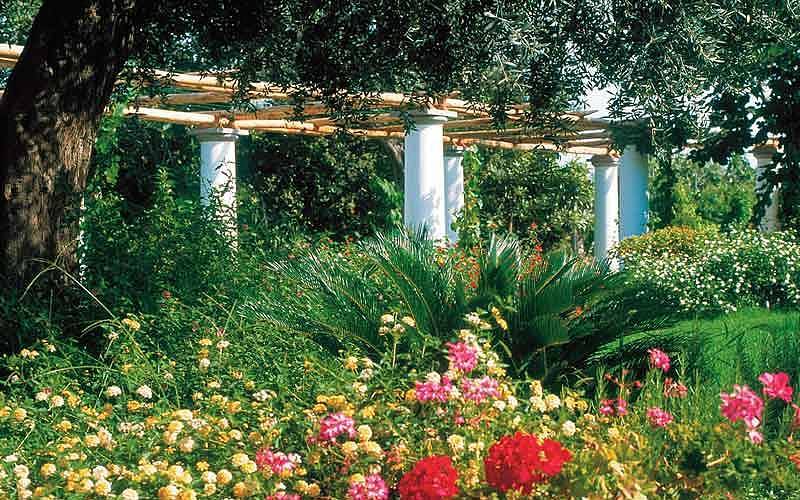 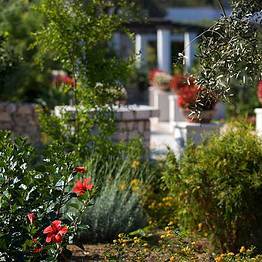 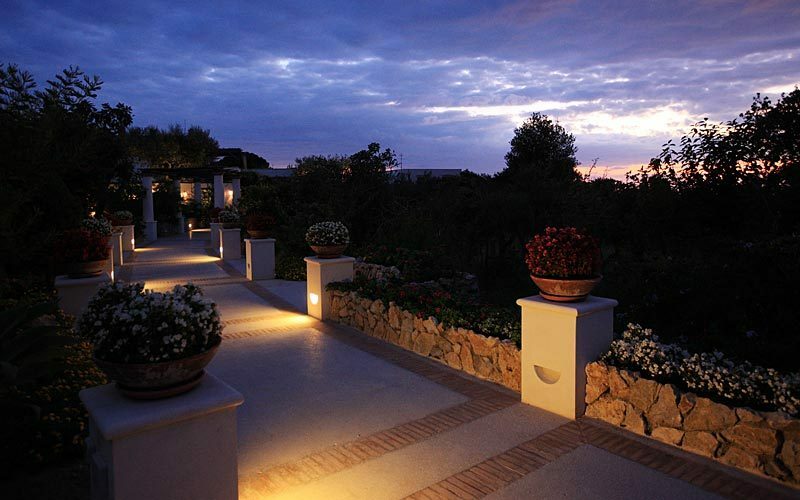 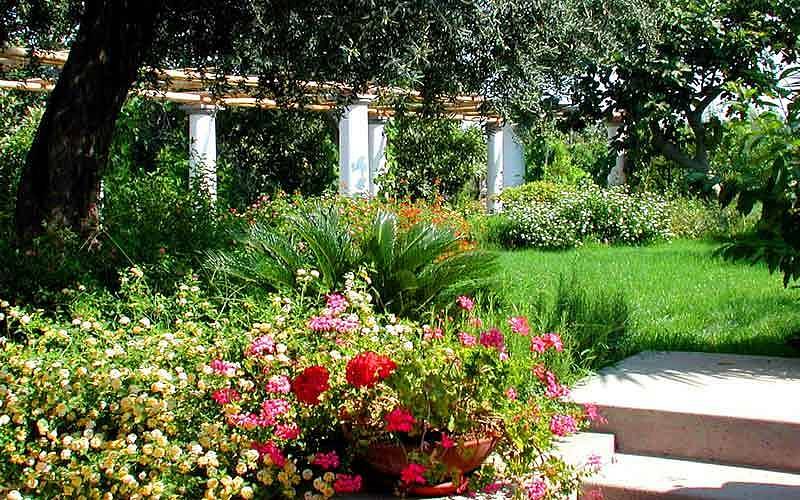 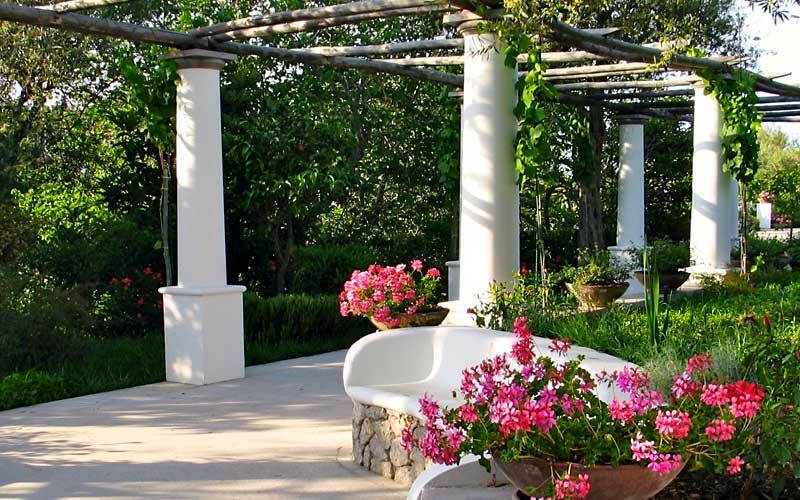 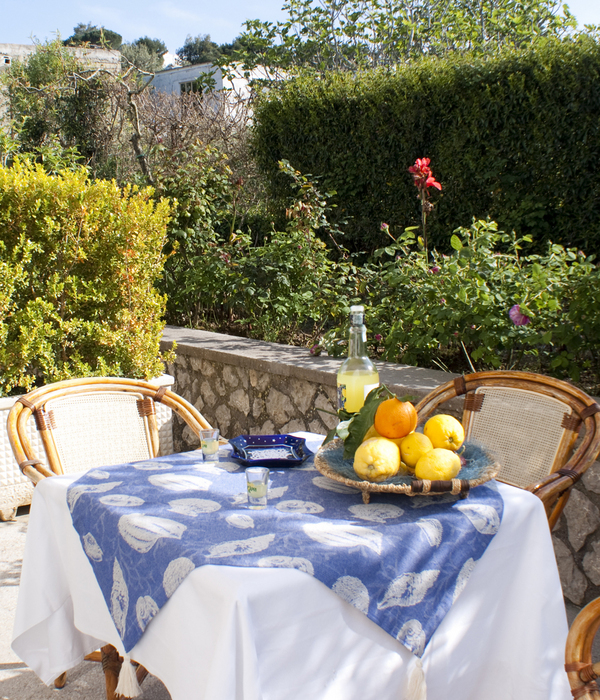 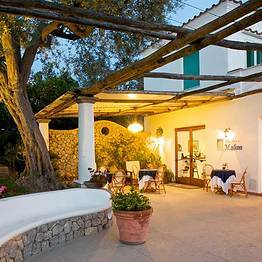 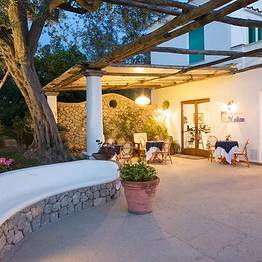 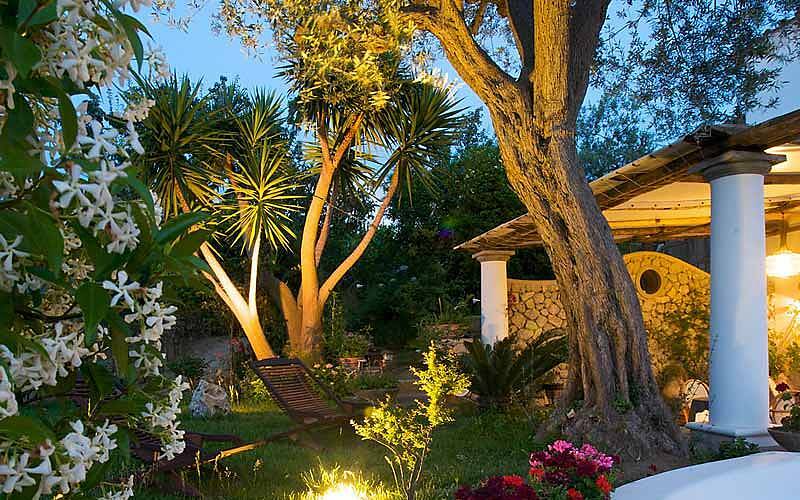 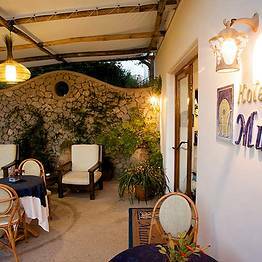 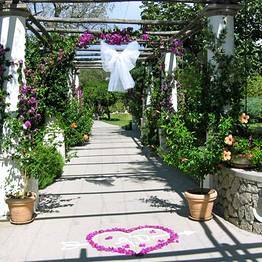 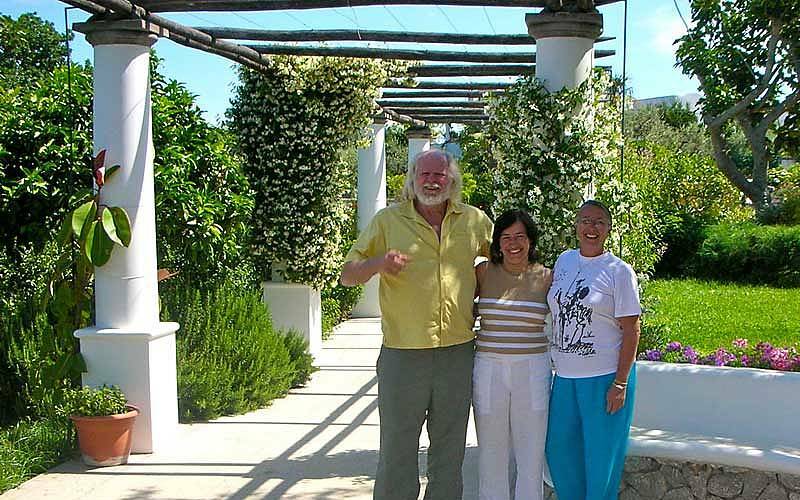 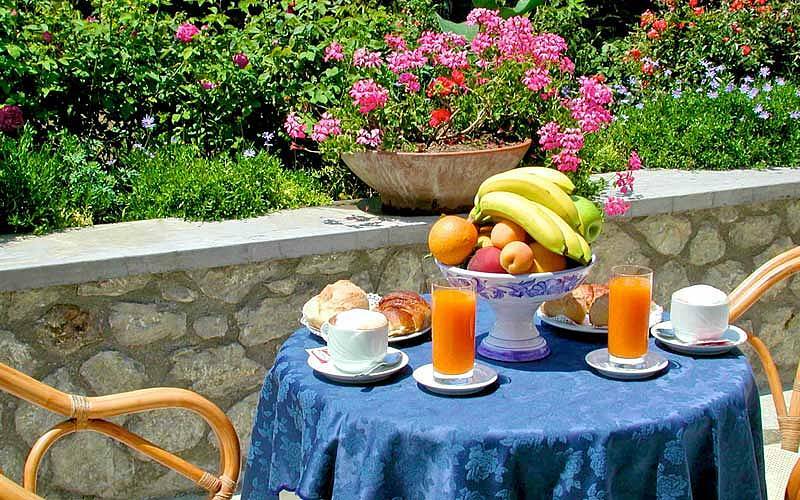 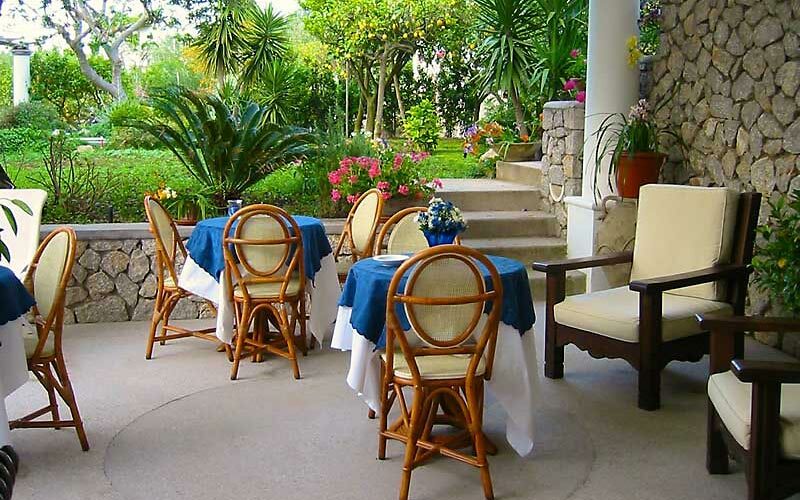 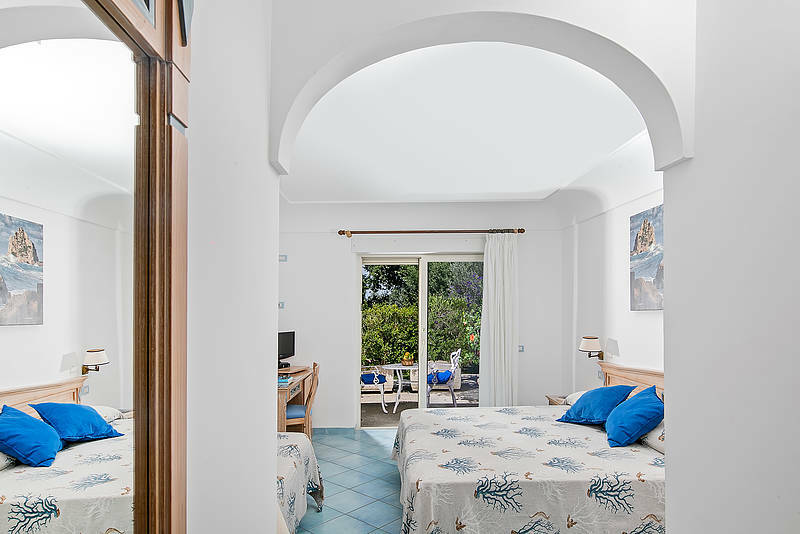 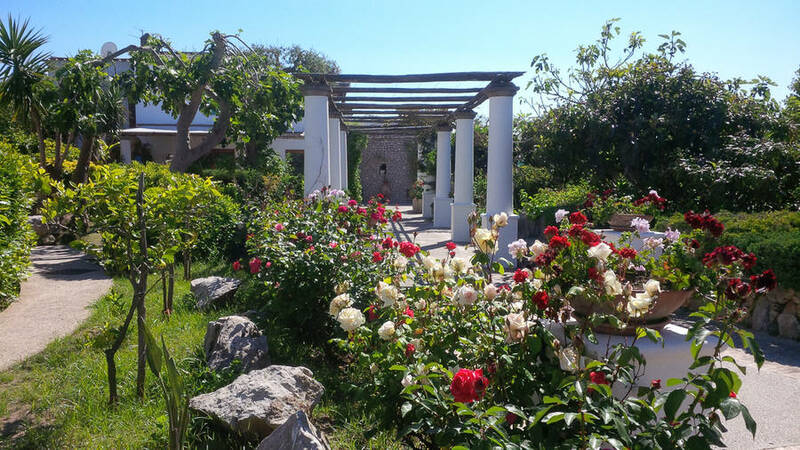 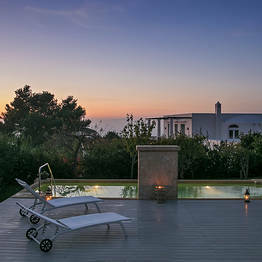 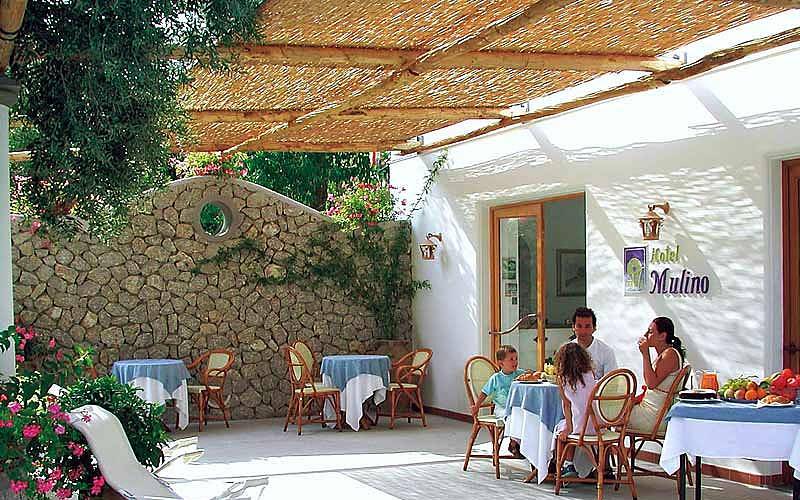 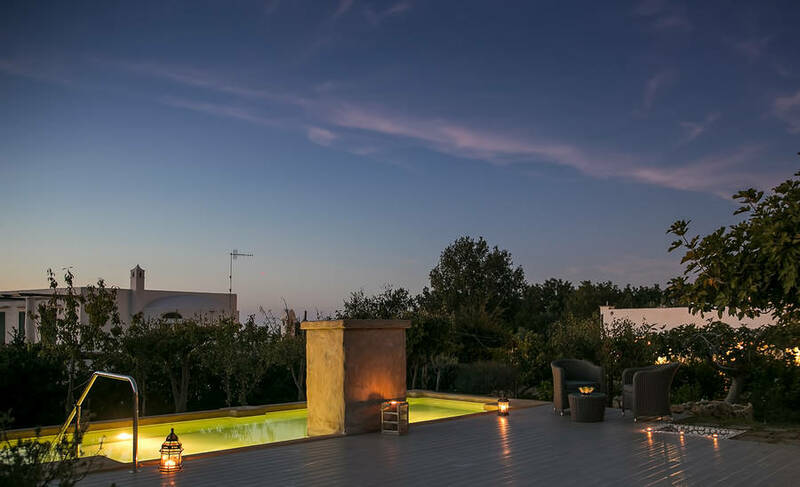 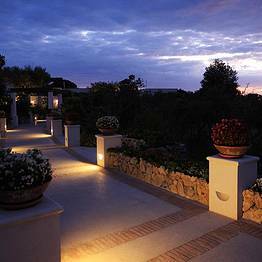 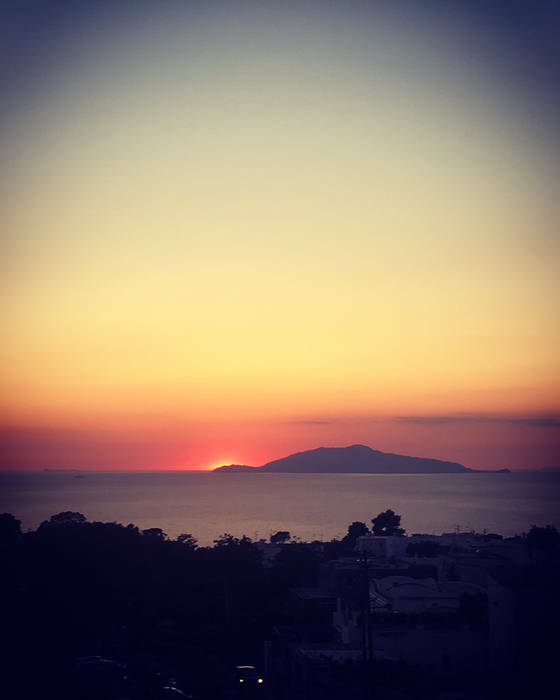 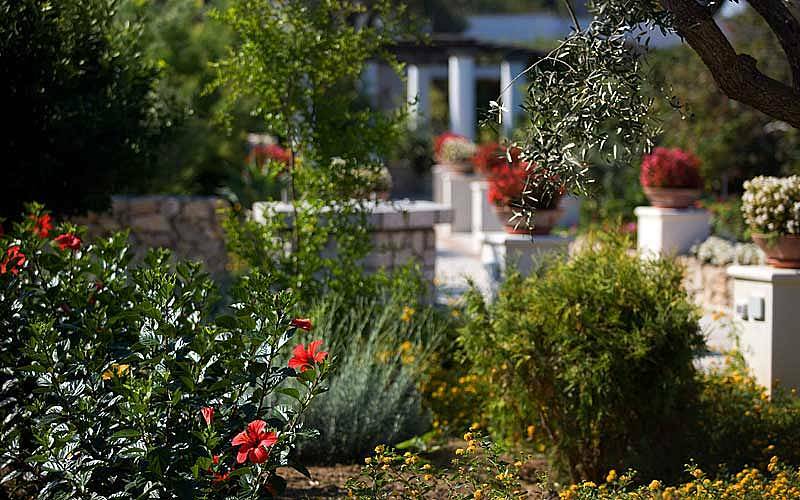 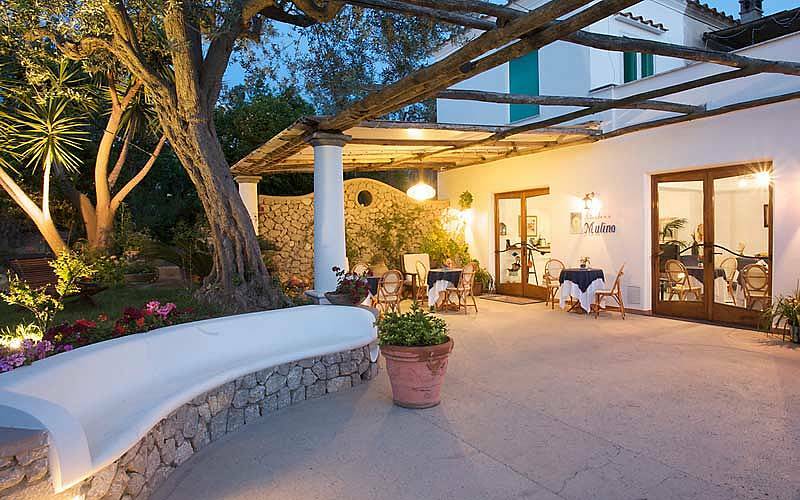 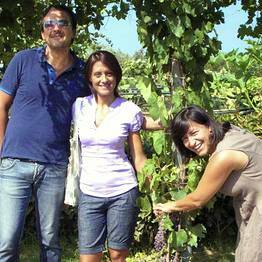 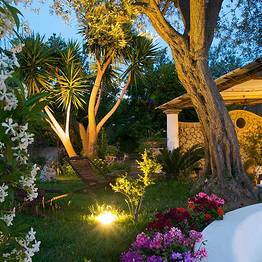 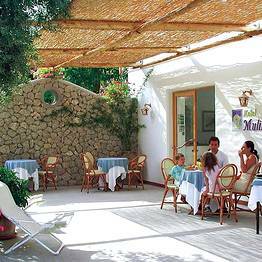 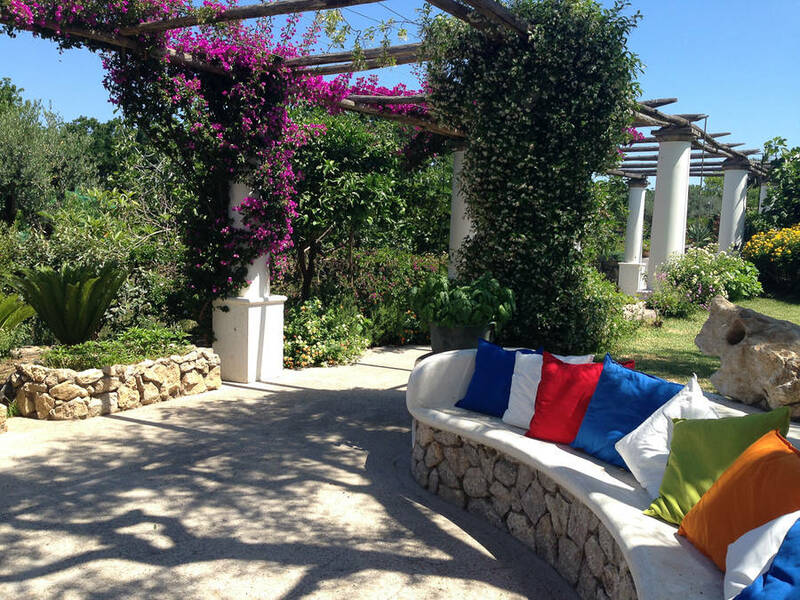 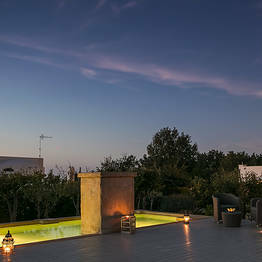 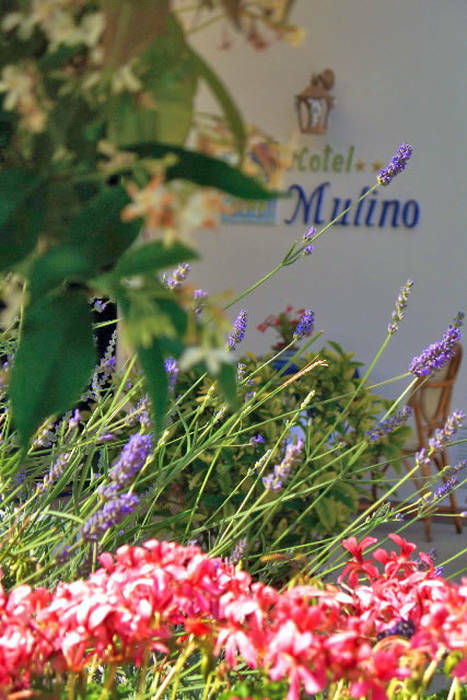 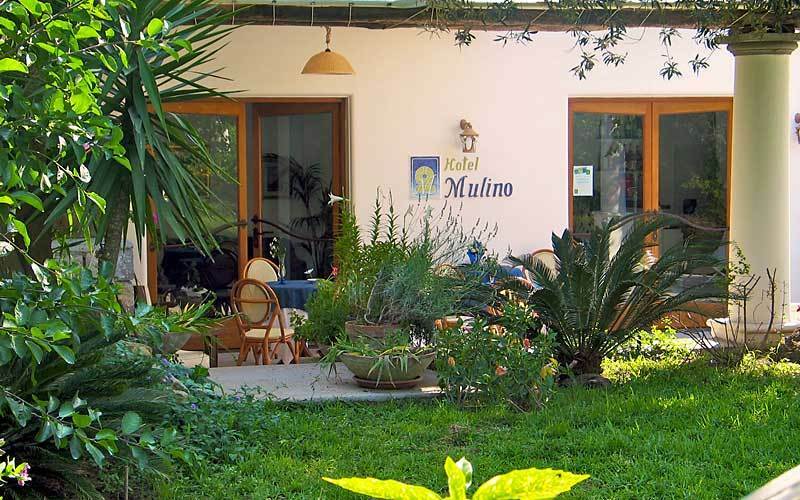 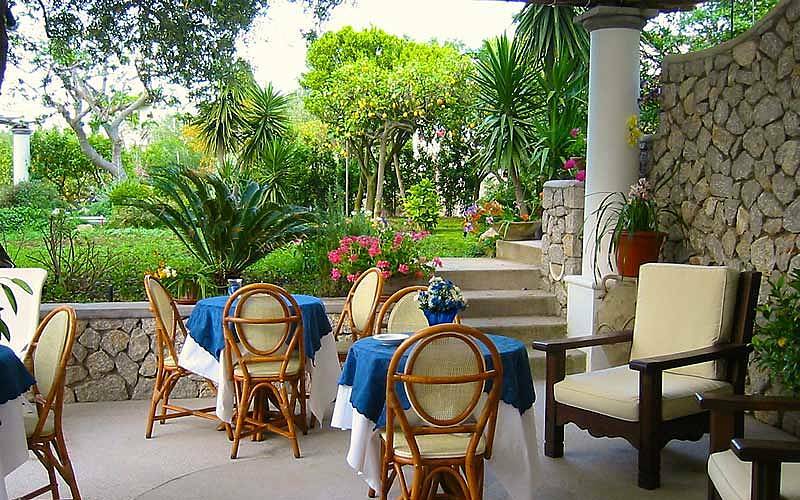 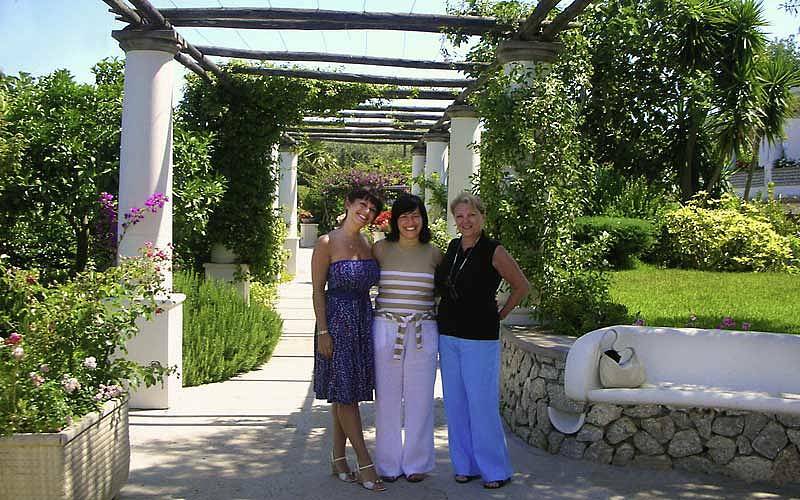 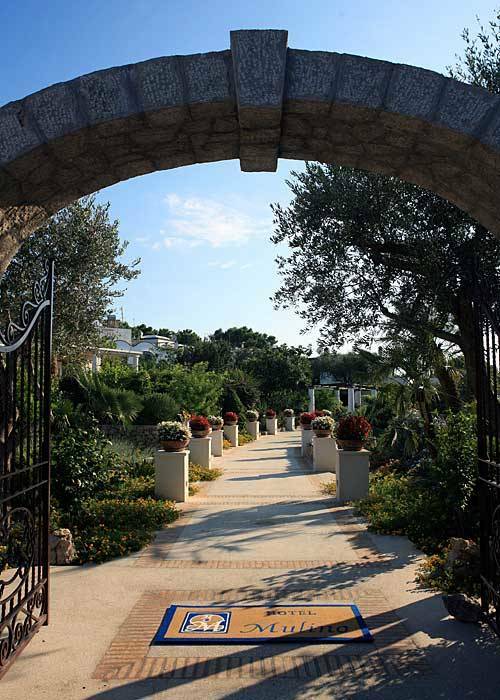 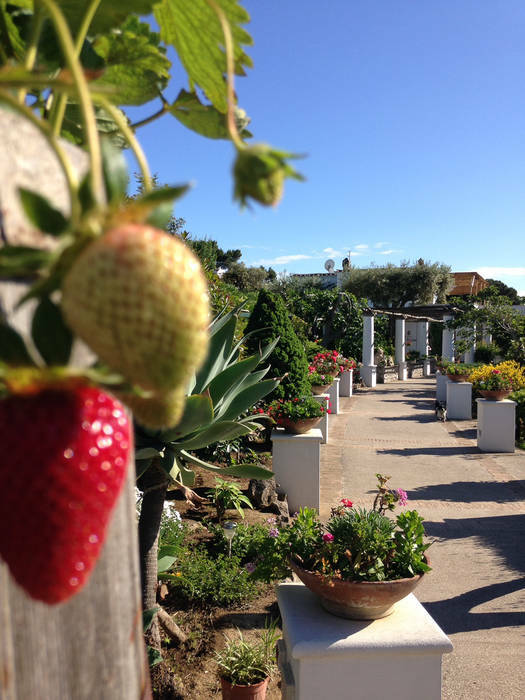 Once an old farmhouse, Anacapri's Al Mulino has only recently been transformed in hotel. 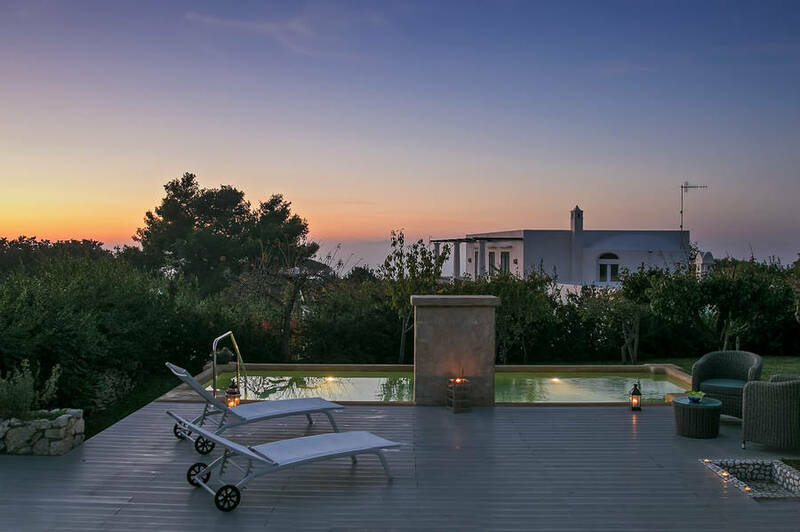 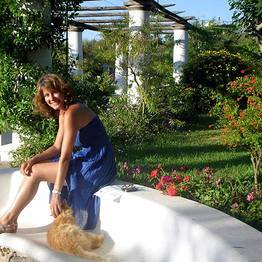 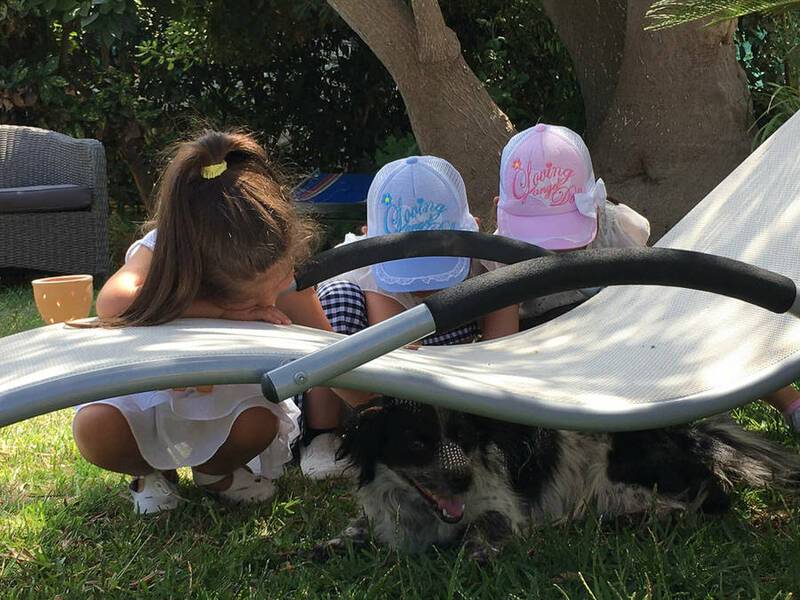 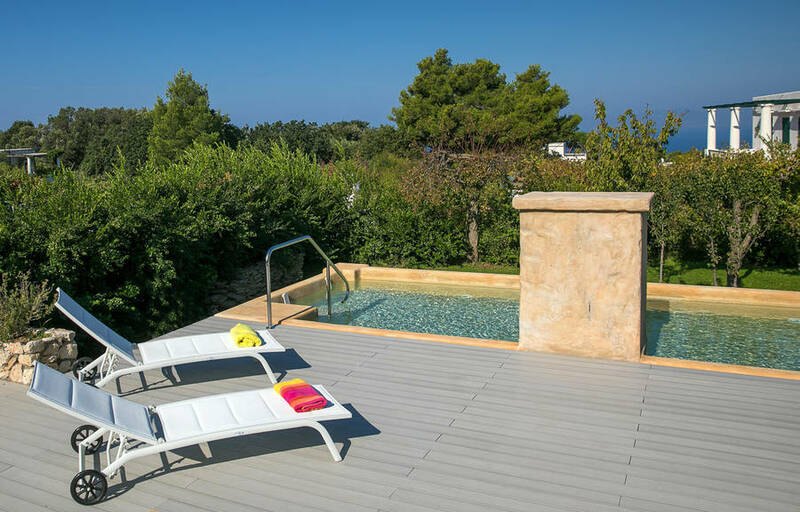 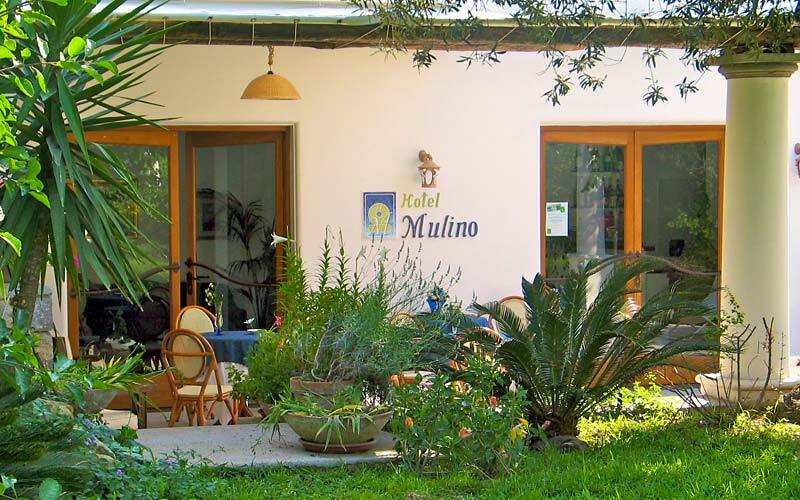 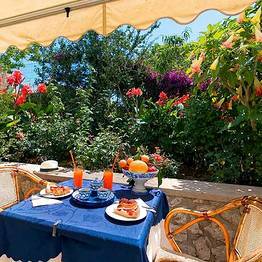 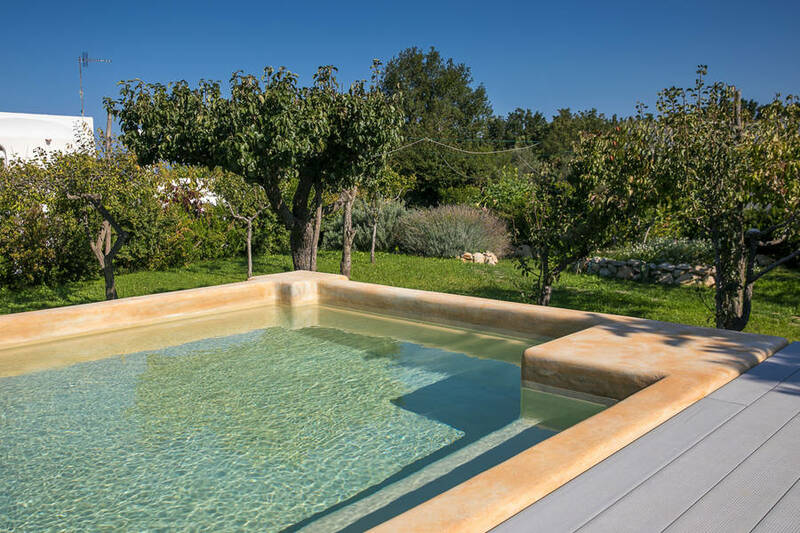 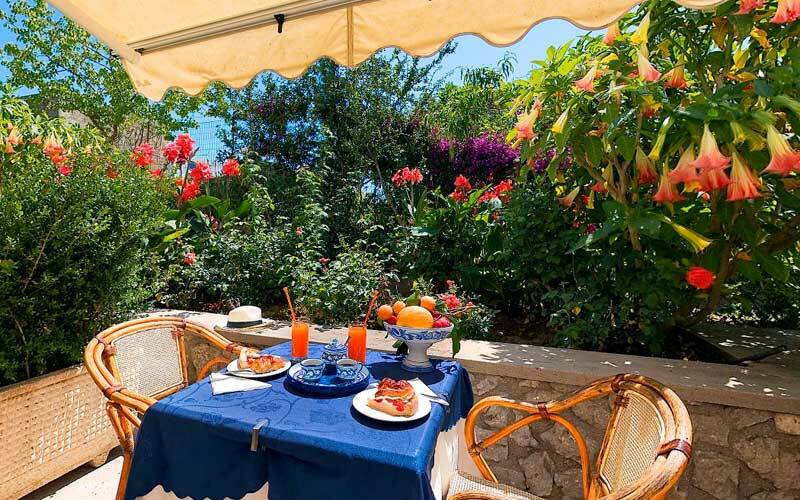 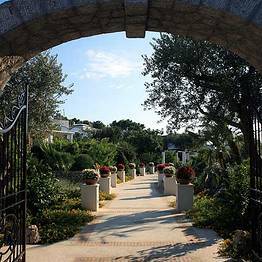 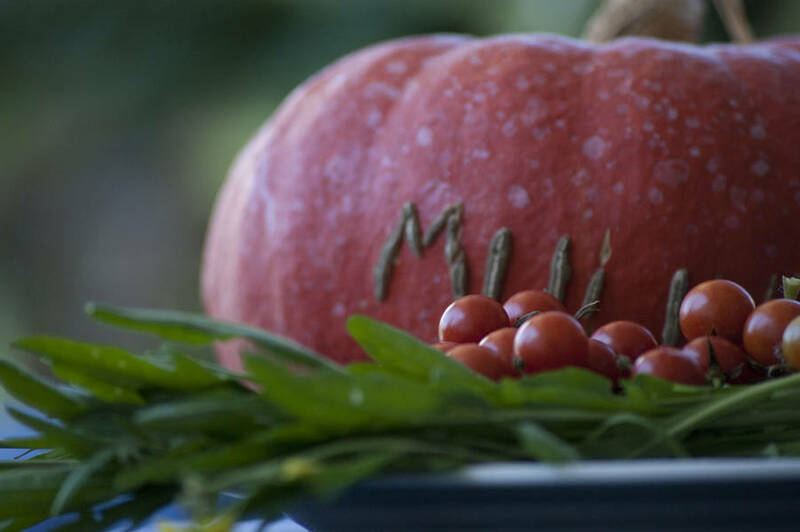 Part farm-stay, part country house, Al Mulino is the perfect place where to enjoy a peaceful holiday on the island of Capri. 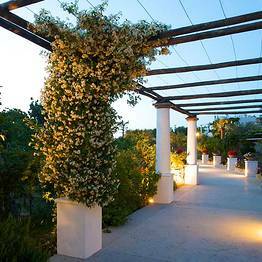 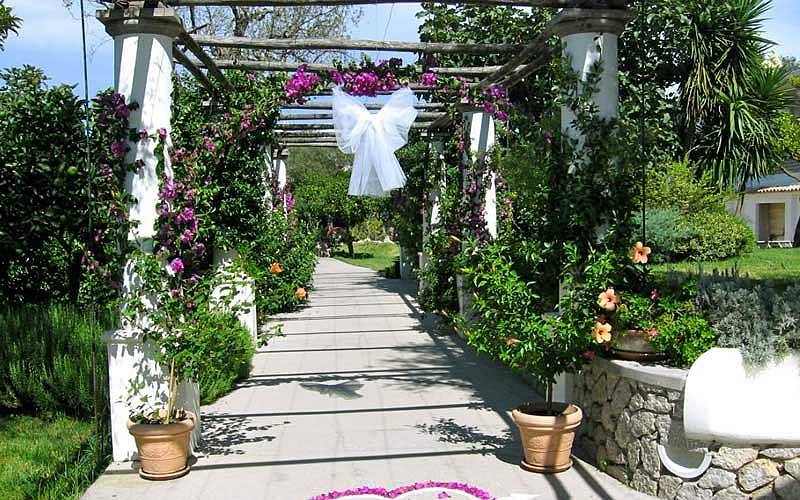 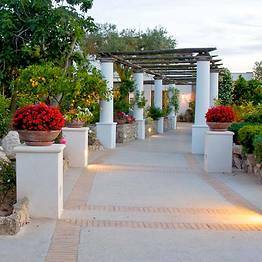 A pretty, white columned pergola leads to the entrance of the hotel. 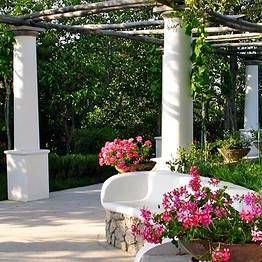 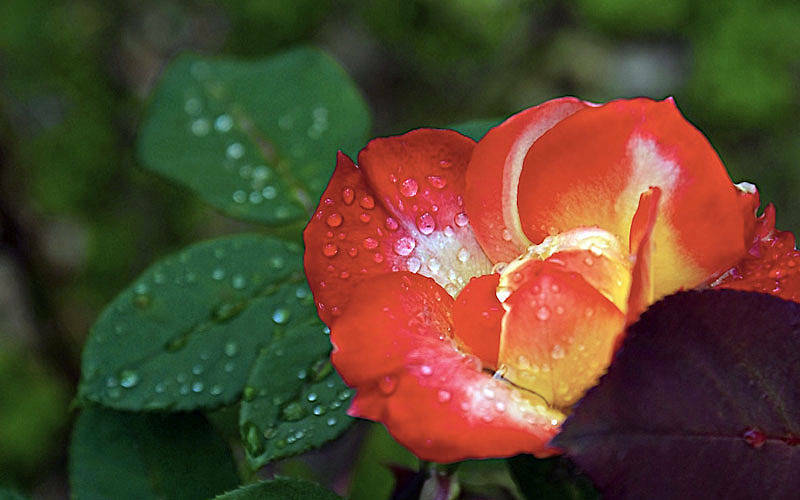 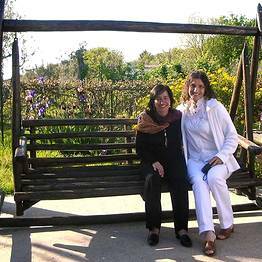 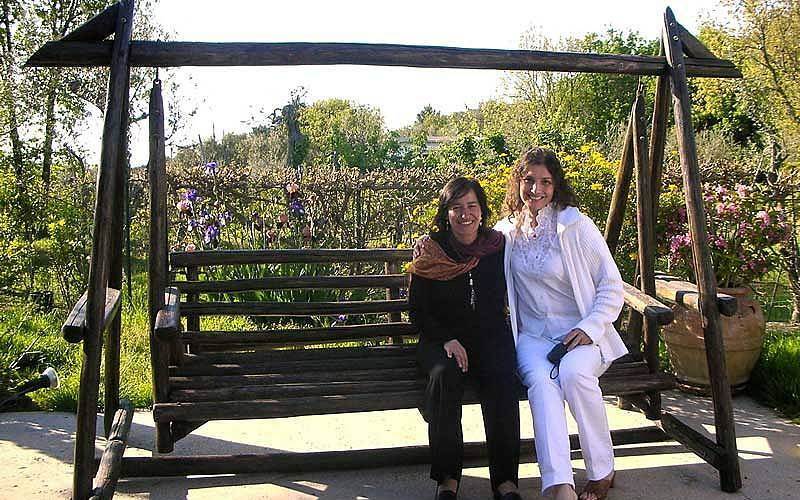 The hotel garden, filled with the scents and colours of jasmine and geraniums, provides a quite idyllic setting in which to enjoy the Italian sunshine. 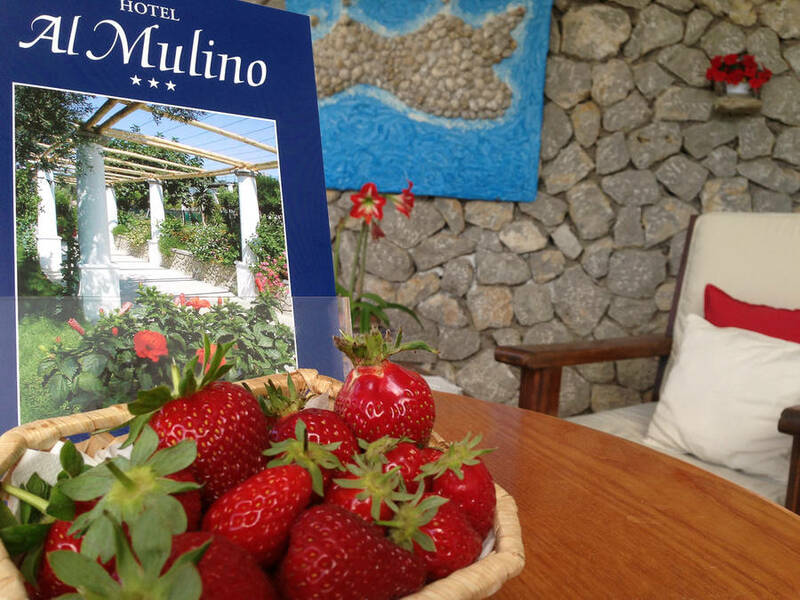 Al Mulino's tastefully furnished bedrooms are equipped with every modern comfort including wi-fi internet connectivity. 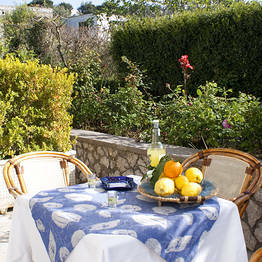 All rooms open out on to a terrace overlooking the garden. 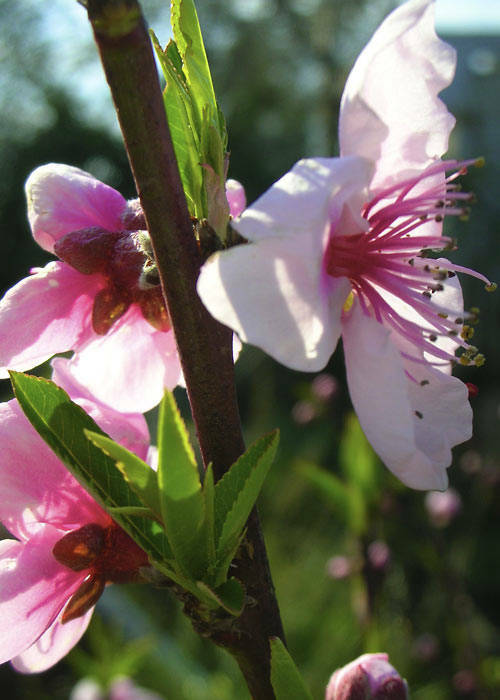 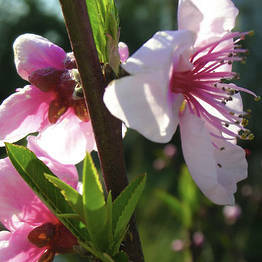 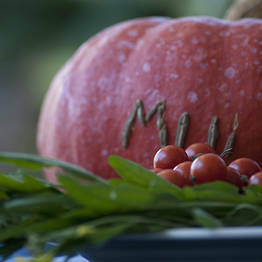 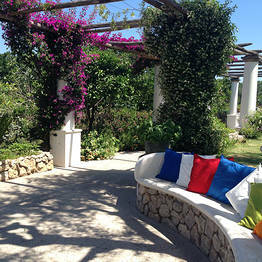 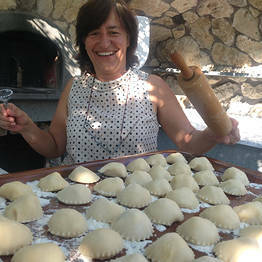 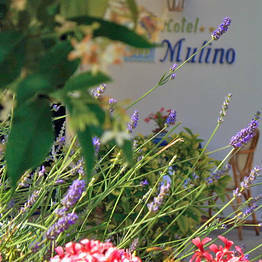 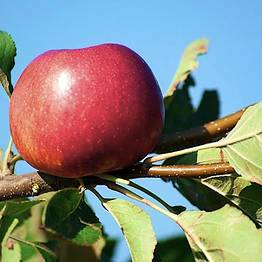 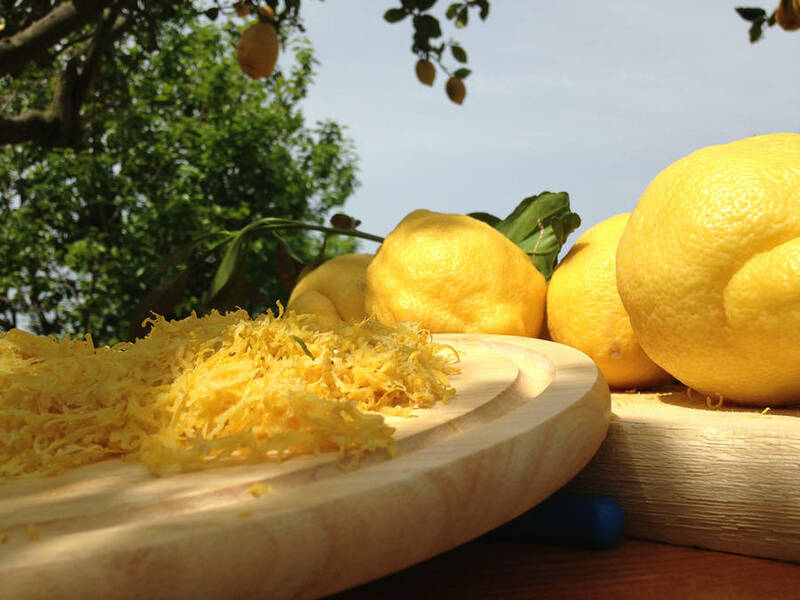 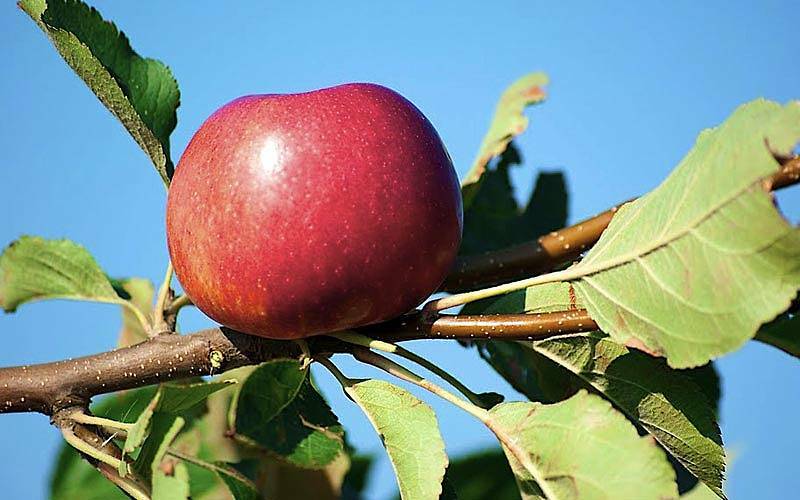 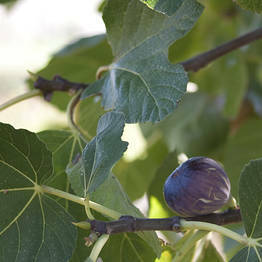 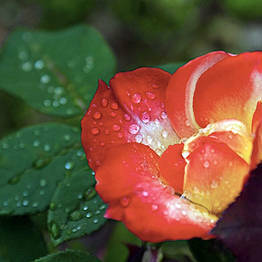 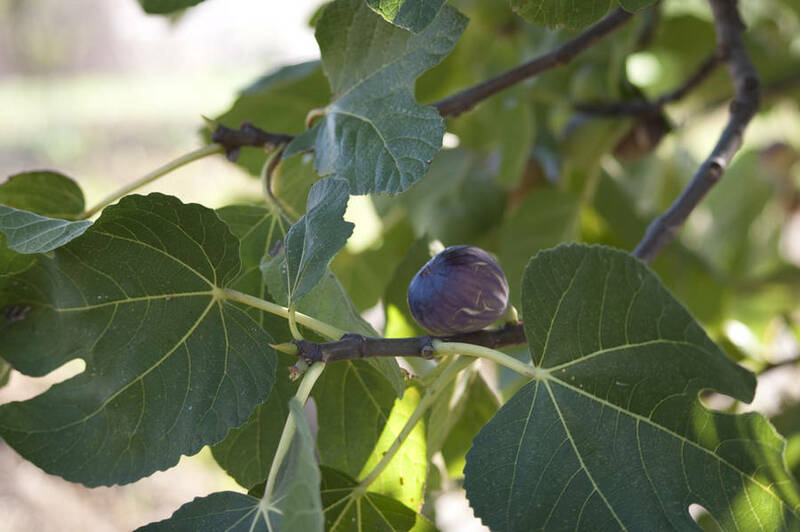 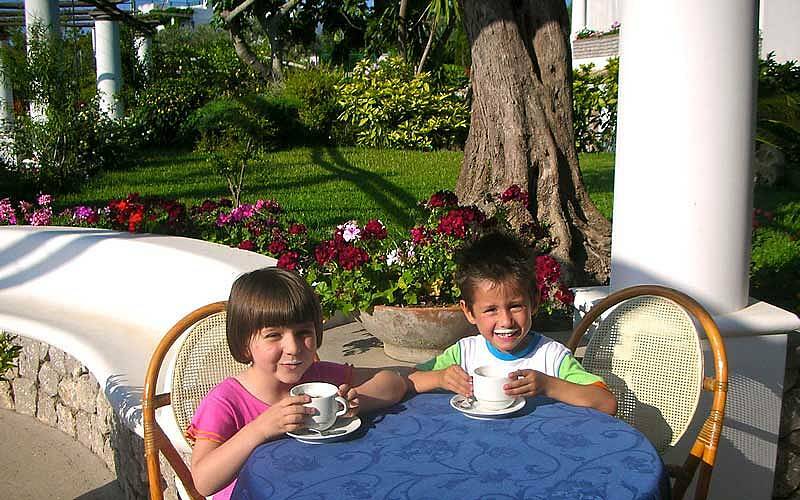 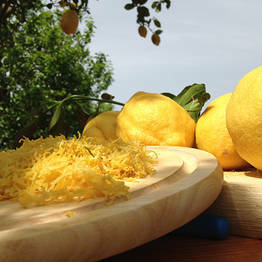 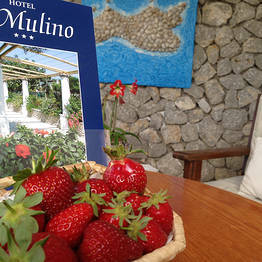 A delicious breakfast of home made cakes and seasonal fruits is served al fresco on Al Mulino's flower-decked terrace. 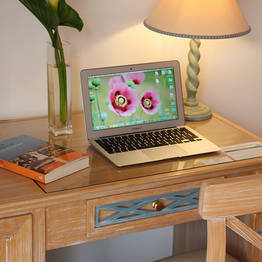 A free internet point is located in the reception of the hotel. 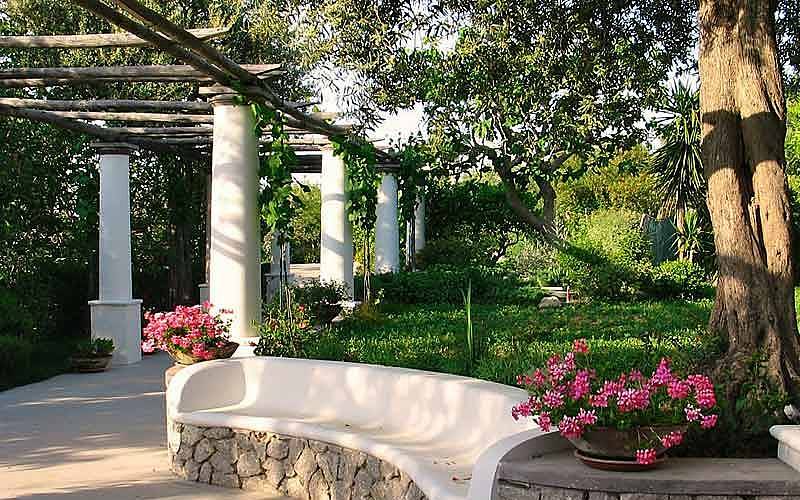 A shuttle service from and to the port of Capri is available, on request. 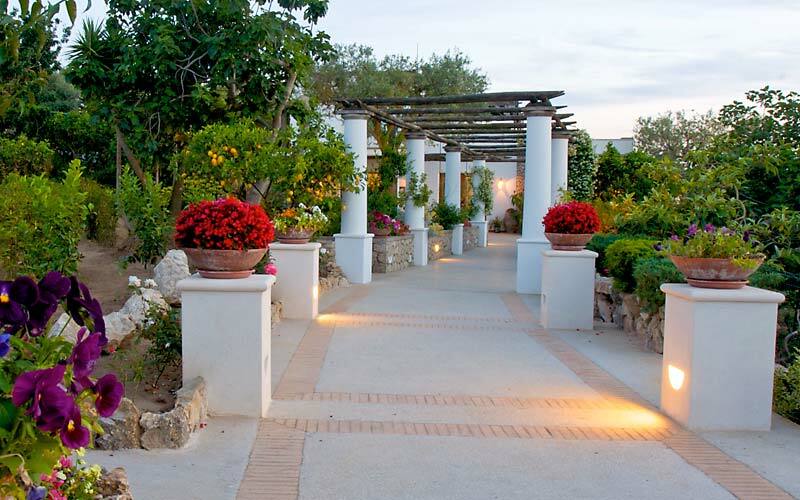 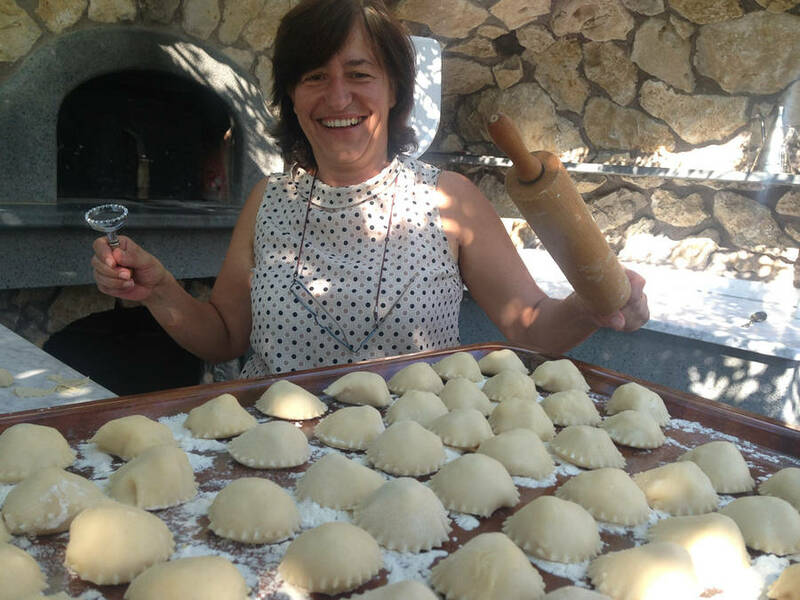 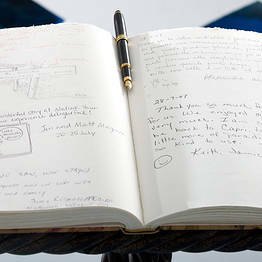 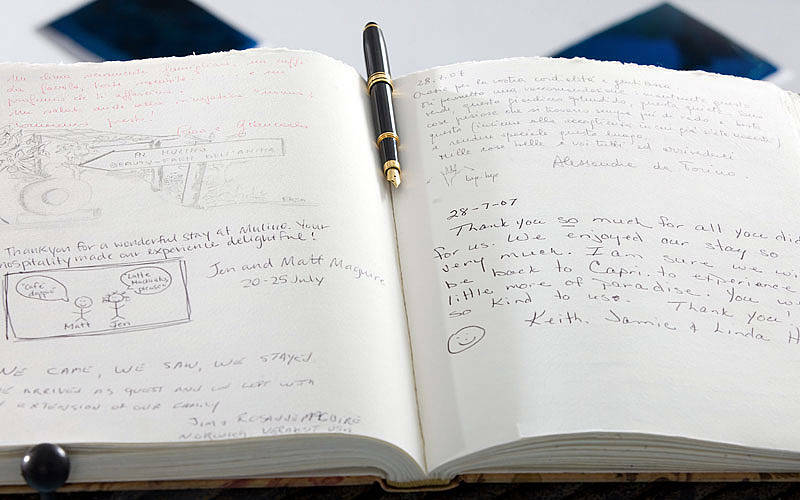 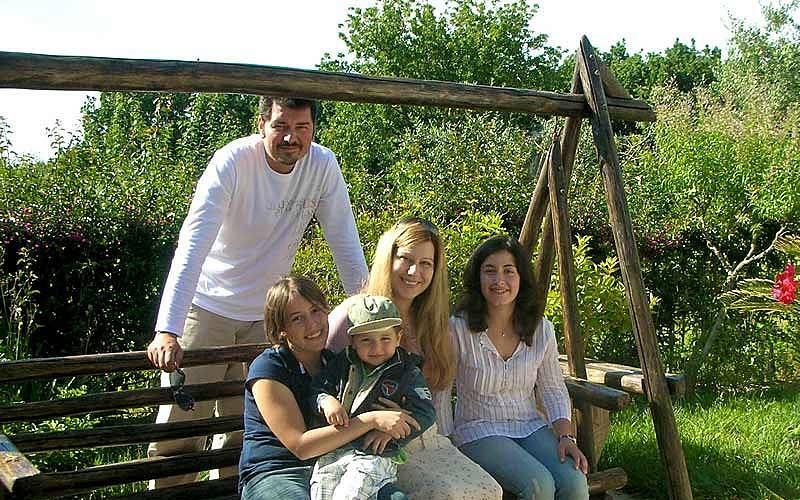 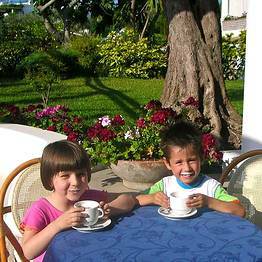 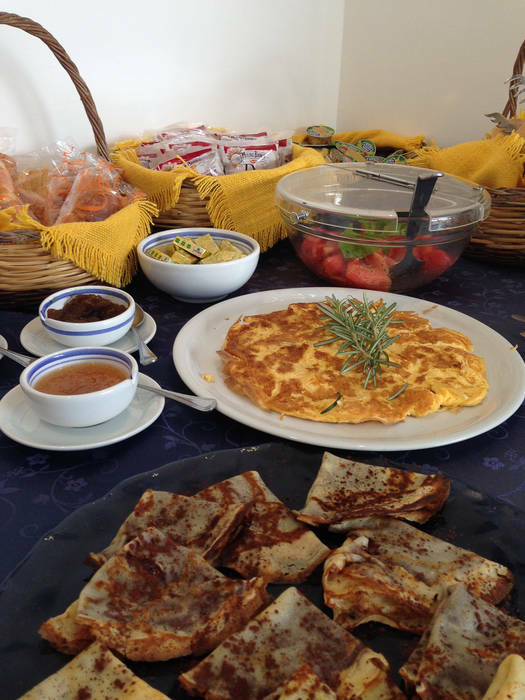 Hotel staff will be pleased to provide information concerning boat hire, guided tours, walking routes and excursions. 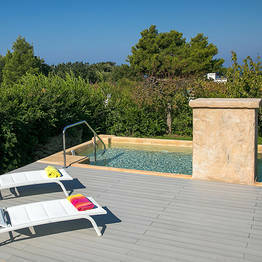 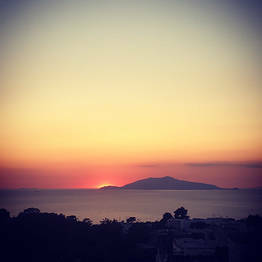 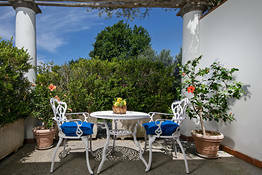 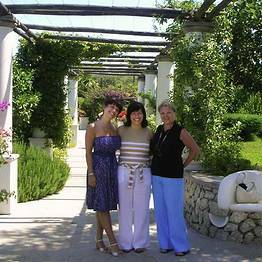 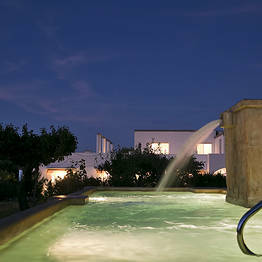 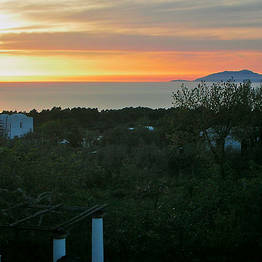 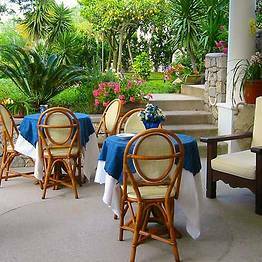 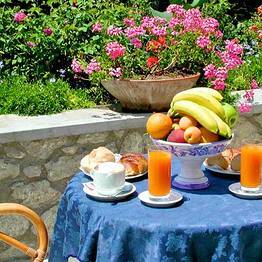 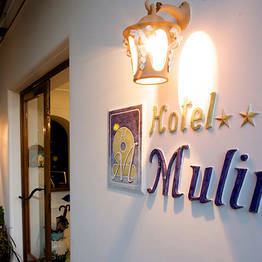 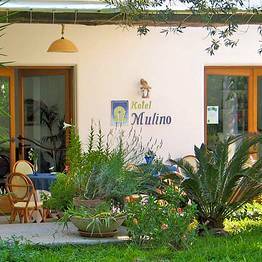 Book Al Mulino on Capri.net now with no additional booking fees.